Scientists from Skoltech, IPCP RAS, MSU and UFU have considered the application of emerging photovoltaics in spacecrafts and satellites and explored the radiation stability of perovskite solar cells with respect to gamma ray exposure. Results of this study were published in the Journal of Physical Chemistry Letters. Perovskite solar cells represent a highly promising emerging photovoltaic (PV) technology. Since the development of the first solar cells based on complex lead halides with perovskite structure in 2009, their power conversion efficiency (PCE) has increased from 3.8 percent to about 24 percent. This progress is unprecedented in PV technology. Perovskite solar cells are considered to be the future of photovoltaic technology, and a likely replacement for expensive Si-based solar panels. In addition to low fabrication cost, perovskite solar cells are much lighter than traditional solar cells, which makes them attractive for space applications. The research team led by Prof. Pavel Troshin was among the first groups to explore potential applications of perovskite solar cells in satellites and spacecrafts. Skoltech Ph.D. student Aleksandra Boldyreva explains the main result of her work: "Solar cells in space should withstand not only a severe solar radiation, but also must be tolerant to high doses of gamma rays to achieve stable operation for years. In our work, we investigated a complex lead halide Cs0.15MA0.10FA0.75Pb(Br0.17I0.83)3 with a perovskite crystal lattice. it is known in the literature as triple-cation perovskite, and considered to be the most stable within this family of materials. 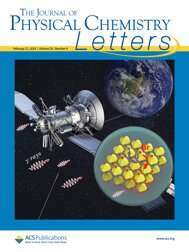 "The perovskite thin films and solar cells were exposed to gamma rays in doses ranging up to 5000 Gy. The solar cells appeared to be rather stable when exposed to 300 Gy of g-rays, but higher doses resulted in a rapid decay of short circuit current density (Jsc) and power conversion efficiency of the devices. Using a set of complementary analytical techniques, we have revealed that the main reason for device degradation is related to halide phase segregation induced by gamma rays. In other words, I- and Br- ions leave the lattice of a mixed crystal and tend to form separate amorphous or crystalline domains enriched with bromine or iodine. The unusual effect of halide phase segregation induced by gamma rays was revealed by our group for the first time." To summarize, Skoltech scientists figured out that current mixed halide triple cation perovskites are not suitable for space applications. New types of materials with enhanced stability are required, which is currently one of the main goals of Prof. Troshin's research group.